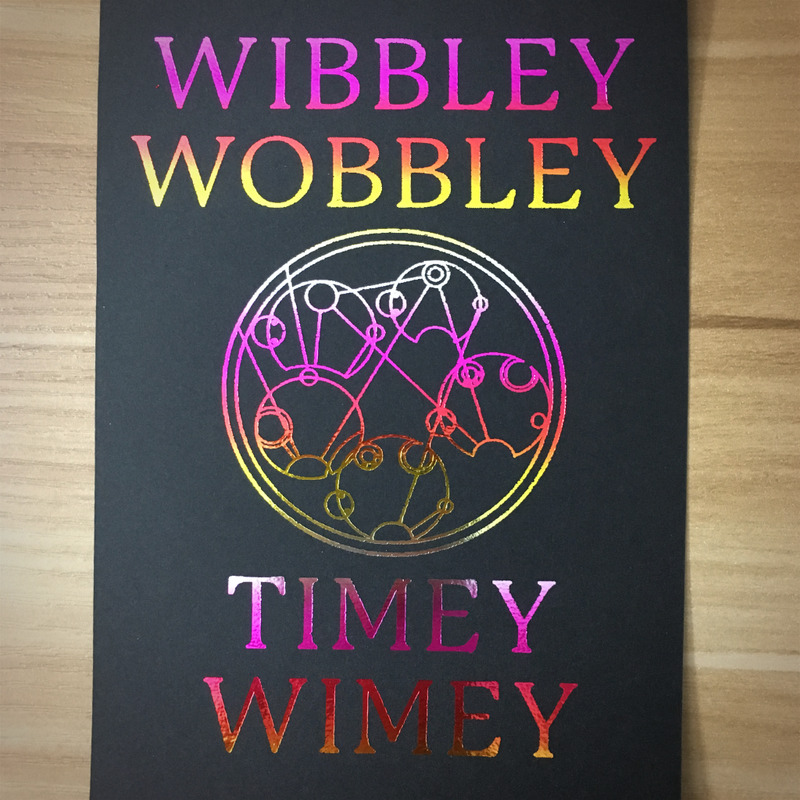 4×6″ Wibbly wobbly holographic print | Holographic prints – Geek Girl Stuff – Geekery, art, jewelry, and more! Wibbly wobbly holographic print with sunset foil on black paper. 4x6" in size, and comes with matte backing and a cellophane envelope.